The psychedelic journey continues! 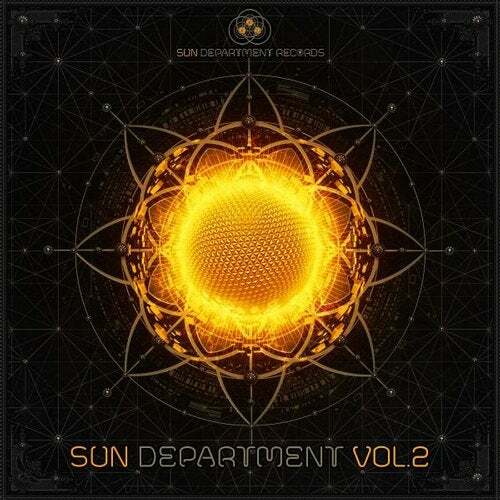 Sun Department Records proudly present their second psychedelic compilation. Vol. 2 features tracks from their own label artists as well as exclusive and fresh tunes from guest artists Mental Broadcast (Brazil) and Lucid vs. Block Device (France) contributing an amazing remix of Bionix' "QFactor". This sonic trip is like an intense party night. Starting with a mix of breathtaking full on turning into floating psychedelic trance; the twilight sounds that follow take you through the deepest night and finishing with melodic frequencies to let the sun within your mind rise again. As we went back to the lab to do some music, the acid effect kicked in. We were finally able to see through the mind tricks and realized were we came from. All of it may have been triggered by the designers of the universe. It didn't come silent and slowly - it came with a big boom pow wow. The music we were doing at that time, it was the 5th of November, had a really high Qfactor right from the start. We closed our eyes and it almost felt like the occular pressure increased. We opened them again and we were able to see the whole scenario in its real eternal beauty.